Two years ago, my husband and my oldest had matching costumes for Halloween; E was really into the Legend of Zelda (his mom and dad were playing Ocarina of Time for a while), so M went as Big Link and E went as Little Link. 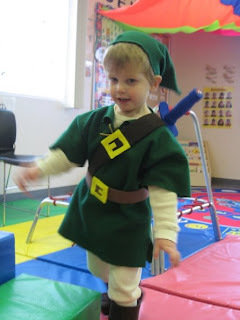 My cousin has a boy who wants to be Link for Halloween, so i'm writing up the tutorial for the costume i made. It was easy-peasy, and most people were able to figure out who he was (though those unfamiliar with Zelda were guessing Christmas elf or Peter Pan). Since i don't have time or resources to make another costume, i'm just going to show you the finished product, and some paper shapes to guide you through (hopefully well enough for you to learn how to do it). 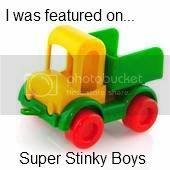 Click on photos to make them bigger. - Measure your child from shoulder to shoulder and add an inch or two to that number. Then measure from shoulder to knee and double it. Cut a rectangle of green felt that size - this is the body. Fold it in half twice and mark the top folded corner - the center of the fabric. Cut slits in the shape of a T on the shoulders and front, each starting at the center mark. -The top of the T should only have to be slightly wider than your child's neck, and the bottom of the T long enough to make a big enough gap to comfortably get their head through. -Now measure your child from shoulder to elbow and around their upper arm, loosely so it's slightly wider than a t-shirt would hang (Does that make sense? You could also just get one of their shirts and measure that). Cut two rectangles from those measurements, match their centers to the center fold on the body and sew them to the sides of the body. Fold the tunic in half, wrong sides together and sew an L from the edge of the sleeve down to the body. STOP sewing and backstitch about three or four inches from the bottom of the body. Sew the seam allowances down to keep the slits open. The nice thing about felt is that you don't have to finish the edges of the sleeve, neck, and bottom if you don't want to! Punch three or four sets of holes at the neck to lace your leather string through - just make sure they're far enough from the top so that the collar flaps can open up. I'm sorry i don't have a real photo - refer to the top photo, you can kind of see it. Layer over cream colored long johns. Perfection doesn't make a ton of difference, as long as there's enough width to accommodate your child's head in the first three or four inches. The center height (from bottom to point) should be roughly the same as the width of the bottom. 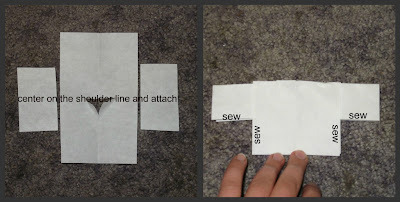 Fold in half and sew the edges together. It may seem confusing (i get thrown by it every time), but the front is the short, straight edge, so the seam will be underneath. Make sure the cap fits your child's head (slightly loosely) before you add the band. Cut a strip of green felt the same length as the child's head circumference and about two inches wide. Fold it over the edge of the hat and hot glue in place. This reinforces the edge and keeps it from stretching out too easily.